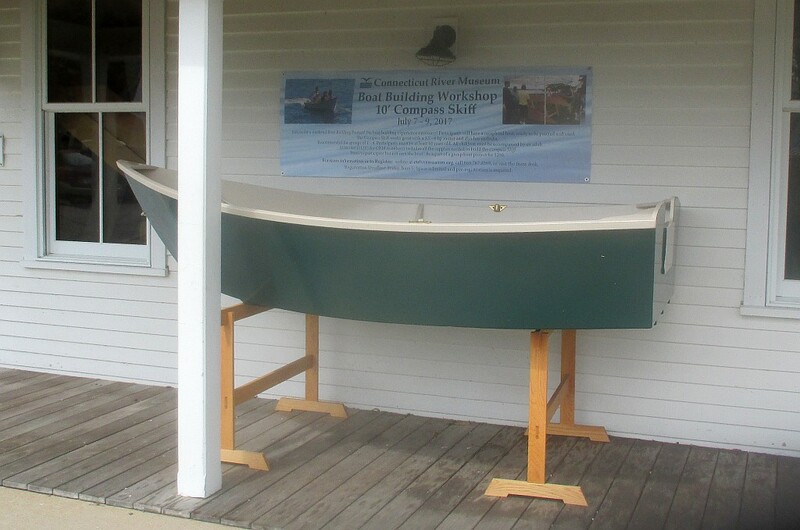 Tim Lackey is an incredibly talented restorer of “good old boats.” He can take a tired, beat-up boat from the dawn of the fiberglass era and make it better-than-new in terms of looks, systems and strength. 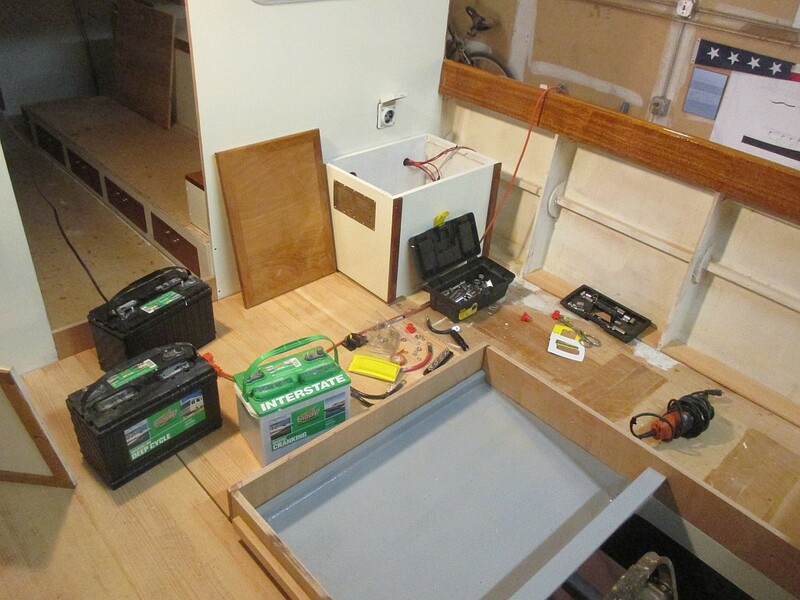 I am a wooden boat guy, but 90% of what I know about fiberglass, finishes and systems installation comes from Tim’s website. He also follows this blog. One night last week he woke up in the middle of the night and thought, “There’s something wrong with those engine controls. I think they are single-function when they should be dual.” That means I had controls that would either shift or work the throttle, but not both. I sent Tim’s email to Atlantic Outboard and they confirmed his suspicion. No big deal — the part numbers are one numeral off and your typical outboard today (not one meant to reflect boats of almost a century ago) has a single control. The switch-out wasn’t bad now involving cutting new holes and some trim, but would have been a real pain in the midst of engine installation, so thanks, Tim. He also raised an interesting question. Sam Devlin once said that to finish the last crazy 5% of a boat-building project, you have to hate the boat and want it out of your sight. How do I feel? I don’t hate the Tardis. But I am just getting tired of the grind. Now that the weather is getting better, I think, “Wouldn’t this be a nice day to drive to Mystic?” or “Shouldn’t I get to work on the CRM boats?” I am okay once I get to the shop, since everything I am doing now is new and interesting, but am driving pretty hard toward the April 20-something out-of-the shop date. 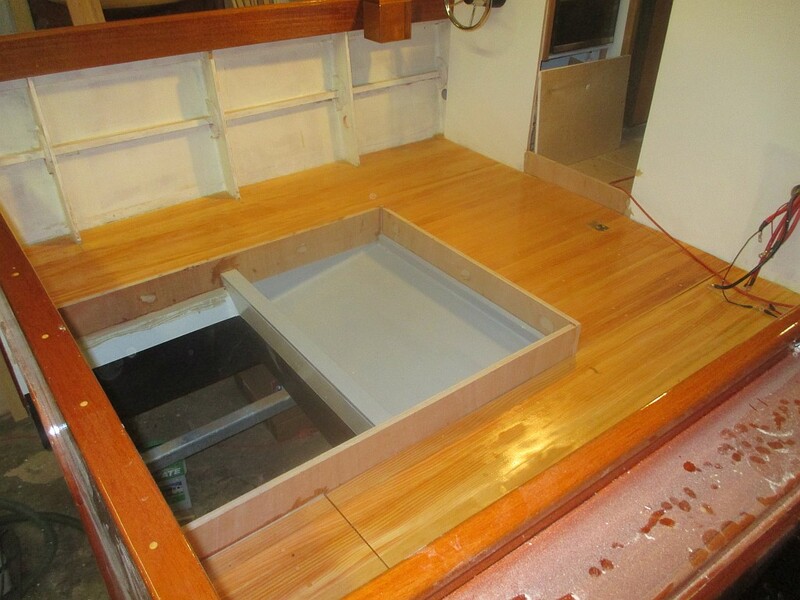 The decks are in and soaked with clear penetrating epoxy sealer. 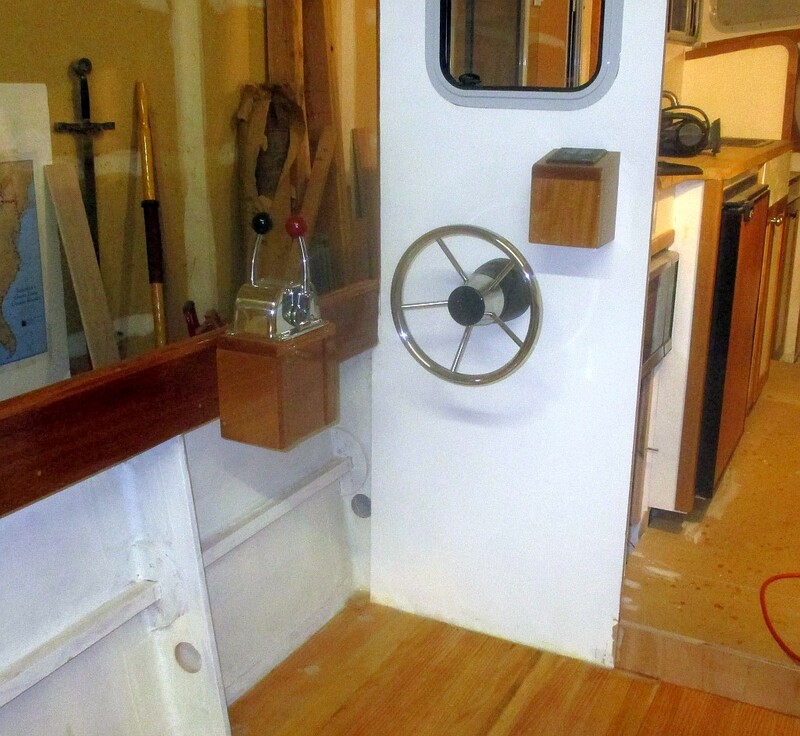 The pictures look very yellow, but the decks will eventually get a sort of maple-syrup color with a couple coats of Cetol Natural teak, which will also make them grippy. Much of the work now is hidden, so no pictures. I had to glue backing blocks for deck hardware installation up into impossibly small areas way up under the deck. This is just not the kind of thing I would have ever thought of 18 months ago, but should have. I am pretty sore, but maybe not as sore at 66 as I used to be at 56 when crawling around in Memsahib after a day riding a desk. I think that is good. 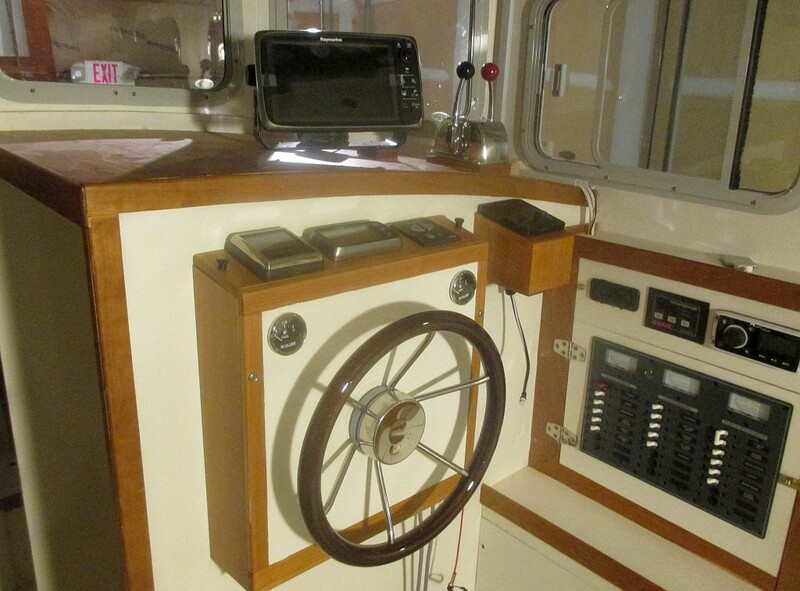 There are loads of wires in back of the helm console, too, hooking together the MFD, depth sounder and steering system. And the bow thruster works from both helms. 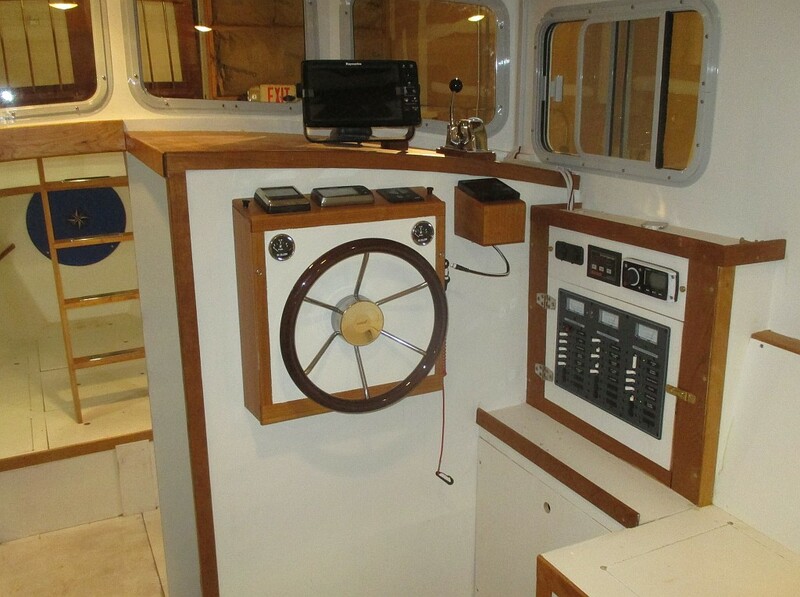 I leave the main switch on so once in a while I can hit the turn button, hear a big buzz and pretend I am in really fun wind-over-current solo docking situation in a hail storm, which after all is the ultimate goal of this project. All better. Please say that’s right, Tim!